Are you heading out to explore new places and offbeat destinations, here is the guide of weekend getaways destination. Situated at a height of around 3845ft, Narayanagiri is undoubtedly thought to be of strategic importance, as the whole hill is fortified. In fact, you can still see the remnants of the fort right at the top. Right at the top is the Laxmi Narayana temple, which is covered on most sides by exquisite black granite. The temple is open only on Saturdays, but this place offers you some spectacular trails and there is even the option for the sunrise trek and night-time treks as well. In case you love nature, then you would definitely want to make a beeline for Bheemeshwari Getaway, which is home to a forest camp as well. This place is a perfect weekend getaway destination, you can camp there and continue exploring the natural wonders of this pristine forest area. You can use the forest camp as a base, head out on short treks and nature trails as you take in the exquisite beauty of nature, in all its wonder. This place is not directly accessible to the people for the activities, so you can book your weekend package through Jungle Lodges to spend time amidst nature. If you are in the mood for offbeat places away from all the tourist crowds, then this is it. 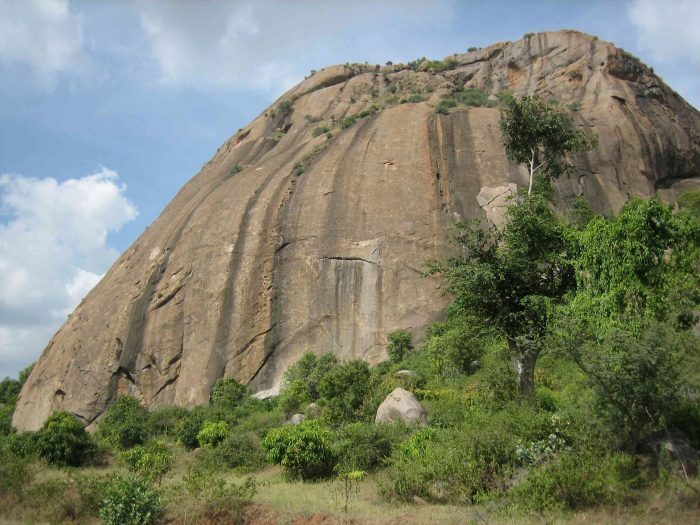 Gudibanda, located 92 km from Bangalore is a hill fort that stands out like a monolith jutting into the countryside. The hill comes with rock-hewn steps, which makes it easier to trek to the top of the hill. It is a perfect spot for a family picnic as you can enjoy the beautiful surroundings. Moreover, you can also explore the 400-year-old fort, which is breathtakingly beautiful. Do you want to trek into the wild? Then you would definitely love a visit to Doddamakali, which is situated in the heart of Bannerghatta National Park. Situated within 150kms from Bangalore, this place is not known to all, which makes it tranquil and perfect. So, if you are looking for some serenity and solitude, then this forest camp is the place to head to. It is also called the bird’s paradise. The best time to visit would be from August to February. Being part of a range, Kunti Betta is certainly awe-inspiring. 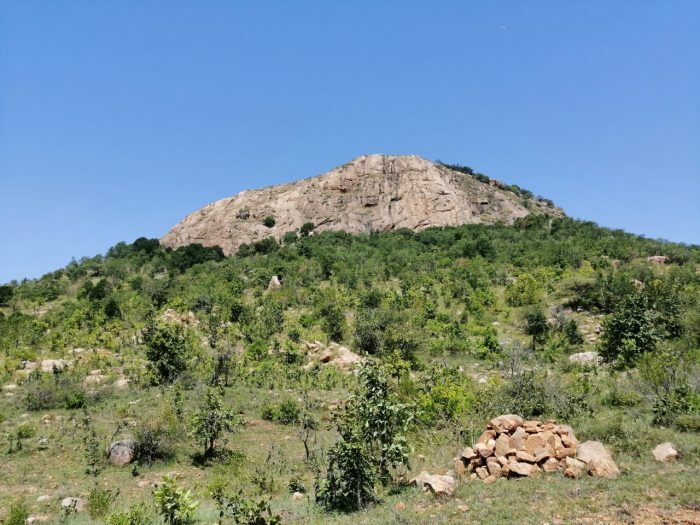 The hill overlooks PandavaPura and the local legend mention that the Pandavas stayed here and hence it was named as Kunti Betta as the name tag. It is quite famous for its trekking and rock climbing. But the real beauty of this place lies in the fact that this is an offbeat destination and the one that you can use to commune with nature, all around. If you are on the lookout for a serene destination, an off-beat one, then a visit to Panchapalli Lake is a must. Situated just 85km from Bangalore, it is a silent and calm place to visit. What makes this place stand out is its ethereal beauty and the fact that the dam is close by makes it even more beautiful. This is a must place to visit with the family for a picnic but make sure that you choose the right time of the year to visit the place. This place located around 57km from Bangalore is the perfect weekend getaway destination spot from the day to day pressures of work. The calm and serene surroundings, in the midst of the splendor of nature, will help you relax and you can spend the day unwinding here. 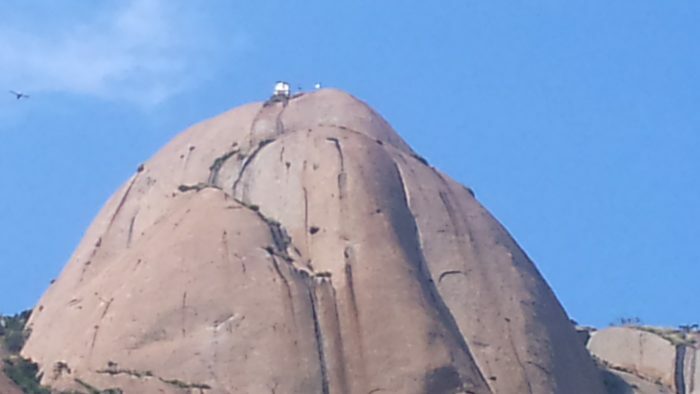 Makalidurga is a one-day trek weekend getaway destination to visit. This place can be reached via train, own transport. 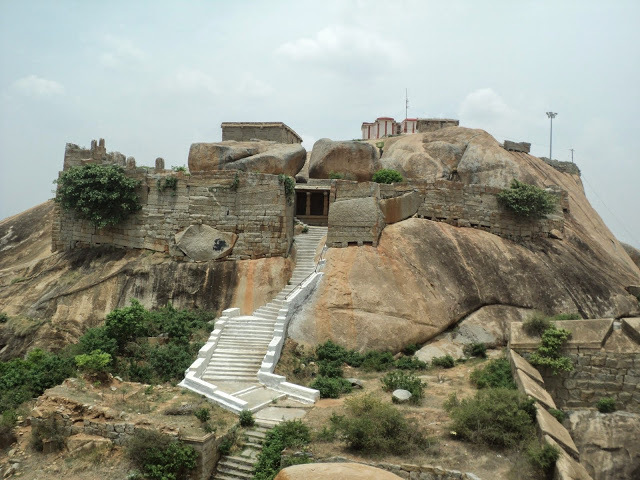 You can also trek to the Makalidurga fort, which should provide you with an eagle eyes view of the local surroundings of the lake and view on the top of the fort is serene to feel the experience. Located at a distance of 104 km from Bangalore, Madhugiri hills offers you some of the most panoramic views in all of Karnataka. It is a beautiful spot for all obvious reasons, and also happens to be the second largest monolith in all of India. Honey Bees used to frequently visit this place and still you can find these, which is where its name originated from Madhu (honey) Hills (Giri). There are various trekking trails that you can explore, and its steep peak will appeal both climbers and trekkers alike. The trekking to this hill takes around 2 hours. Granted that this place may be situated at some distance from Bangalore, exactly 340 km from Bangalore to be precise, but it is still worth the trip. This sanctuary was created as a reserve for Indian sloth bears and if you are lucky, you should be able to spot one in your trip down there. The reserve is also home to more than a few bird species which have made their home in the neighboring forest. If you also happen to be a fan of bird watching, then this place would definitely make your day. It is located 280km from Bangalore and is an offbeat destination. But offbeat or not, it certainly stands on its own merits. It is on the top of a hill and comes with rocky gorges on one side and a unique fort on the other. Seeing the gorge will remind you of the Colorado Canyon. 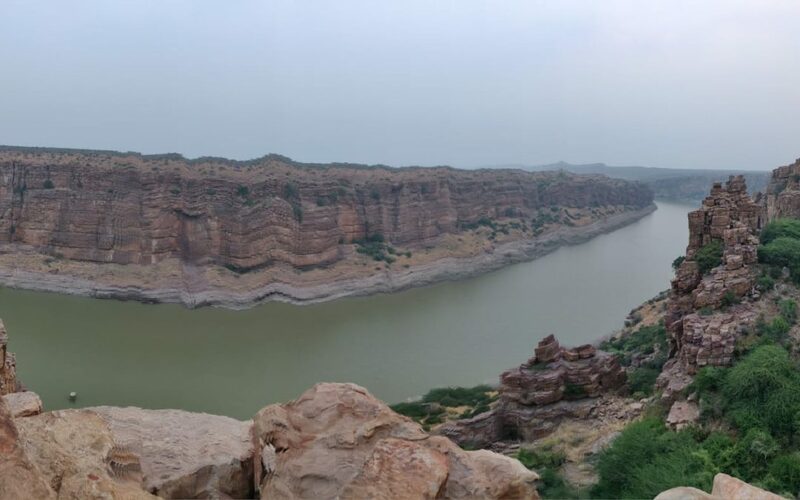 Gandikota and the nearby Belum caves are indeed a must-visit destination for the family and friends. There are boarding lodges and hotels, located nearby and you can use the same to explore the area, at your own pace. This place is located 60km from Bangalore, and also happens to be the single largest rock formation in all of Asia. It is situated right amidst all the green canopy of the surrounding forests, which forms the perfect background. It consists of two hills, the black hill, and the white hill; and also has a temple. A large pond is situated right at the foot of these hills. There are various trekking trails that you can explore in this area and furthermore, you can also opt for night-time trekking with an able guide. 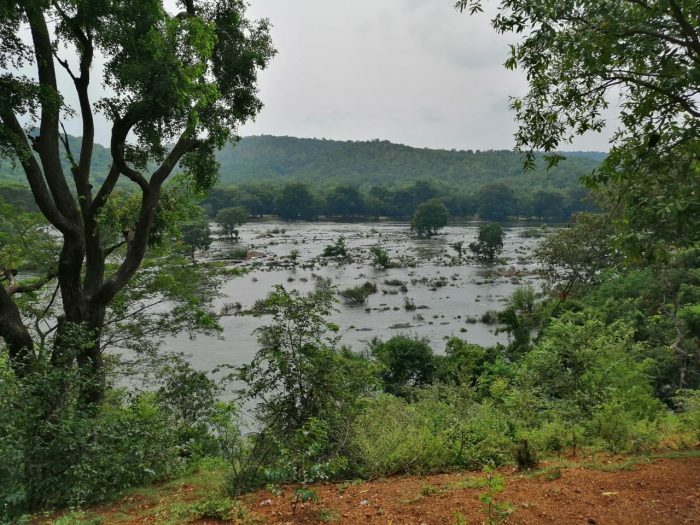 The place is also known as Kaveri waterfalls; and while it is not exactly an offbeat destination, it is still peaceful enough to be mentioned on this list. It is located 133km from Bangalore and should take you a day to get there. Once you visit this place, other than the sound of the gushing waters over the rocks, you are not going to hear much. Yes, a lot of tourists will visit this destination but that aside, the waterfalls form a quiet and serene backdrop, which is indeed awe-inspiring to watch. Just before the falls, the river splits into two, into Gagana Chukki and Bhara Chukki. The streams rejoin downstream and, in the process, help transform the whole region. There are various sporting activities that you can take part in; you can rappel down the rocks or head out to the local hiking trails to explore the area. You can swim in the pools down at the foot of these falls but do note that the waters are bound to flow faster during monsoon season. The best time to visit these falls would be after the monsoon period is over. These are some of the top offbeat track destinations and weekend getaway destinations that you need to visit when in Bangalore. Some of these may require overnight camping while others are able to provide visitors with better infrastructure, such as hotels, restaurants and even ATM kiosks. So, make sure that you research each destination carefully, and make the required bookings at these hotels in advance. You also need to plan your itinerary well in advance. You need to first determine what the trip entails and make the required preparations. It is a good idea to use Bangalore as a base, as you plan these trips since some of the destinations are a little far away. And, remember to pack in your first aid kit since you never know when you may need it in the middle of the trip. Each destination in the list has already been vetted and reviewed so that you can check out what the place is about. The distances listed in the map are meant to be accurate and should provide you with an idea of its location and distance from Bangalore.